During a Sunday radio interview with John Catsimatidis on New York AM 970/WNYM, former Florida governor Jeb Bush shared his thoughts on President Trump and the Republican party overall. Addressing the challenges associated with moving from an opposition to a governing party, Bush said, "We haven't come up with a compelling, unifying agenda...And that's where you see the struggles in Washington right now. The health care debacle is a good example of that." Then he noted, "Presidential leadership would be helpful here." However, he did express hope, adding, "There's a lot that could be done that I think has broad-based support. Certainly on the regulatory side, the president is off to a good start and hopefully finding a way to find common ground on infrastructure and tax reform...being against what the other guys are for is not a sustainable political position." 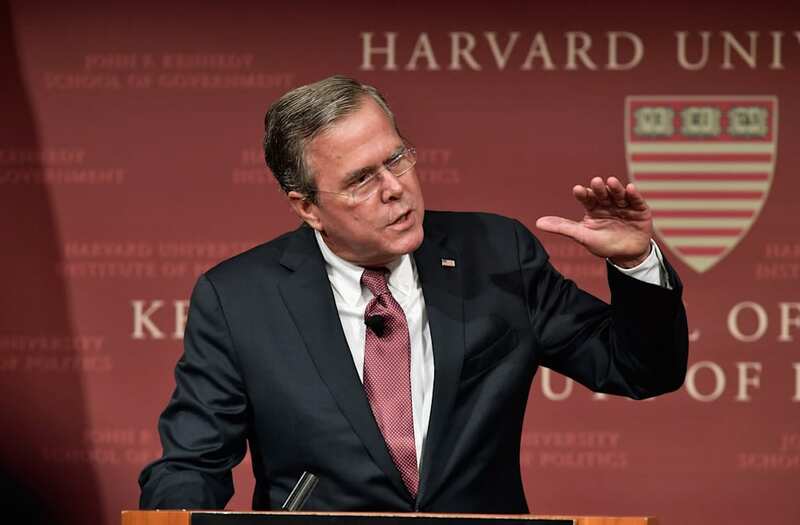 On Mar 26, in a talk with WFOR's 'Facing South Florida,' Bush was more specific about his thoughts on Trump's presidency saying that he "should stop saying things that aren't true, that are distractions from the task at hand." Bush further commented, "He's a distraction in and of himself...He's got a lot of work to do, and some of these things — the wiretapping and all of this stuff — is a complete distraction that makes it harder to accomplish the things I know he wants to do." He also stated, "If he gets off to the right start, people's spirits will be lifted. If he delivers some big things to begin with, it'll be an extraordinary time."